Does your sensitive or "lazy" horse respond smoothly to pressure? Join us at this clinic to gain new insight about what's really going on inside your partnership in terms of the ultimate measure: the Feel between you and your horse. why all this matters all the more "when surprising things happen"
Join us for a weekend of practical insight with one-on-one help to ensure you take home what you need for your horse. We are limiting rider spots to ensure individual attention. Register below! 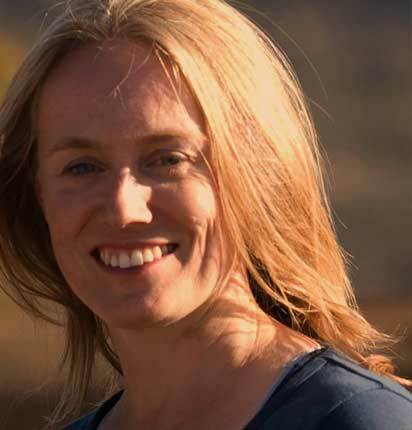 Karen Musson is known for her warm, light-hearted way of coaching horsemen/women in the refinement of feel. She guides you to expand on the idea of an intermittent, conditonal feel of release to an ongoing feel of release that develops an open flow in your connection. Karen will show you the direct line to an ease and depth of connection you know exists... yet which might seem to come and go at times, feel fleeting or be right at your finger tips then sometimes escape your grasp. "Feel" is not exclusive or reserved for the advanced or masterful rider - it is universal. It is also the art of not tripping ourselves up as a result of a collection of common practices that unwittingly get in our way. All it really takes is gaining the awareness that fuels taking our horsemanship a little deeper in understanding of "the inner workings" of a prey animal - so we can shift from a dominant approach that promotes brace first, followed by submission, to leading from the "the higher road" of connection first to bring an offer of mind, engine and feet more readily to the hand, in unity. Feel is the direct line to the whole horse: refining your feel takes the connection you have with your horse to new heights. Enjoy! 1. What is “feel” anyway? Isn’t it what we do naturally? Don’t I already use “feel”? 2. The common thread to every challenge - whether a minor ‘moment’ between you and your horse, a slight inconsistency that is on your mind or the immense frustration of hard work yielding slow progress, or perhaps an unsettling ‘trigger’ that lurks in a horse or rider, rooted in a fall, bad experience or is just a mystery. 3. The one thing that will ALWAYS release your horse’s mind to you, and how to do it. 4. How and why does our "clear intent" and its associated Feel play a defining role in the connection between you and your horse? 5. Refine Your Feel - as in, how do *you* do this with *your* horse? "FEEL, TIMING and BALANCE: Sometimes it's best to talk about feel, timing and balance separately, and to learn how to apply each thing separately on the start. But when you go to apply these three things a little later on in your training, then you see that each of these things supports the other. They are interconnected and all three are important. If one is missing, there's sure to be a poor effect on the other two. The main one you need to have in there when you ride is balance. 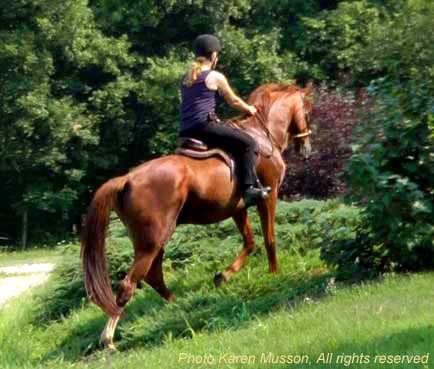 Without that you'd fall off your horse just as soon as you got up on him"
Confirm your spot now by registering above!